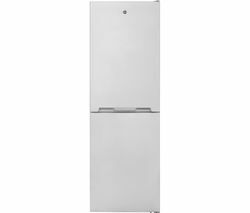 Hoover fridge freezers combine great storage space with low prices, and Currys has a range of appealing fridge freezer models to suit your lifestyle. Frost free appliances offer significant advantages as they never need manual defrosting, sparing your from time-consuming, messy chores. In the fridge you’ll be able to store plenty of fresh food on sturdy safety glass shelves, while generous drawers enable these affordable fridge freezers to accommodate all the frozen goods you need. 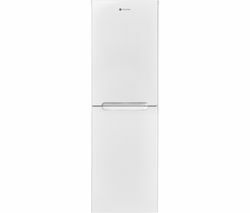 Available in glossy white and silver options, and featuring a cost-cutting A+ energy efficiency rating, Hoover fridge freezers from Currys give you a great way to store food for the whole family.